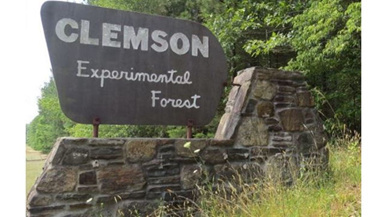 Each month we explore a different area of the 17,500-acre Clemson Experimental Forest (CEF). These fun and informal, family-friendly walks will showcase the diversity and beauty of natural and cultural resources in the CEF. Join naturalist James Wilkins (and special guests!) at a pre-determined location and carpool or follow us into the Forest. Register online at least 2 days in advance. Directions will be sent upon registration. Saturday, September 8- Registration is now closed. Saturday, October 13- Registration is now closed. Saturday, November 10- Registration is now closed. TJ yes you have talent (TONS of it–I absolutely love your work and still need to decide what I want to commission) and you have the drive but you also have something extra special and that’s your winning and sunny personality.